At 02:00hr the center of Tropical Storm Miriam was located near latitude 21.8 north/longitude 116.0 west, about 640km (395mi) W of the southern tip of Baja California. 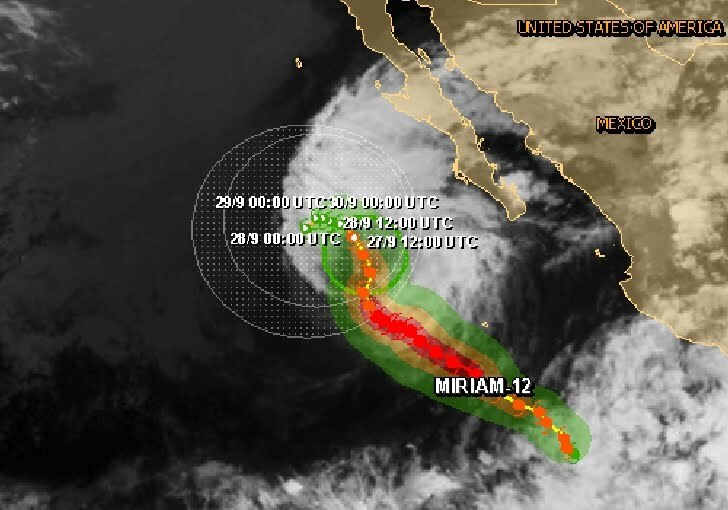 Miriam is moving toward the north-northwest near 9km/h (6mph) and a gradual turn toward the west is expected over the next 48 hours with a decrease in forward speed. Maximum sustained winds remain near 75 km/h (45mph) with higher gusts. 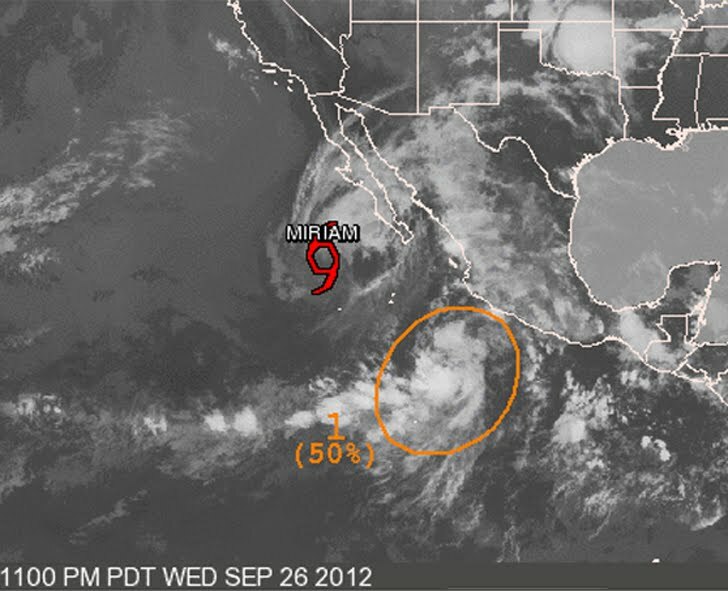 Weakening is forecast and Miriam should become a remnant low in a day or so. Swells generated by Miriam will continue to affect the south and west coasts of the southern and central Baja Peninsula today but will begin to gradually subside on Friday. Further south E94 is building up. Shower and thunderstorm activity associated with a broad area of low pressure located about 375 miles south-southwest of Manzanillo, Mexico has increased during the past few hours. Environmental conditions appear conducive for some development of the low as it moves north-northwestward at 10 to 15 mph during the next couple of days. This system has a medium chance - 50 percent - of becoming a tropical cyclone during the next 48 hours. 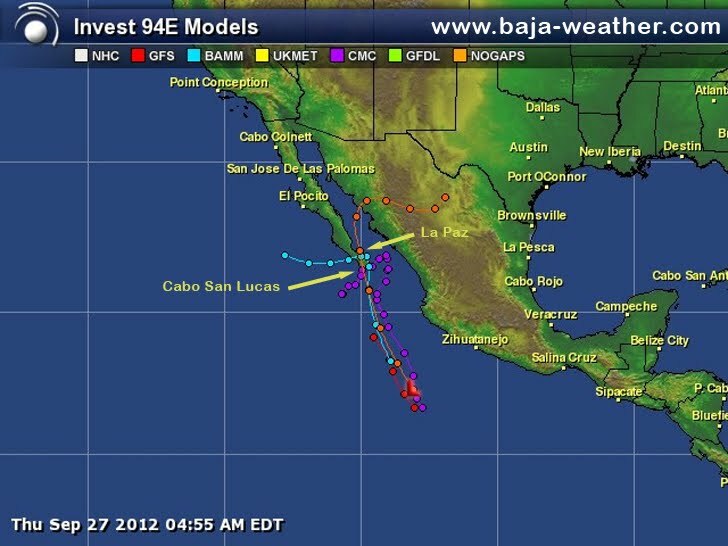 Locally heavy rains are possible along portions of the west coast of Mexico during the next couple of days.